We are happy to welcome a new addition to our Wainwright Collection: Vocabvlarivm ivrisprvdentiae romanae. 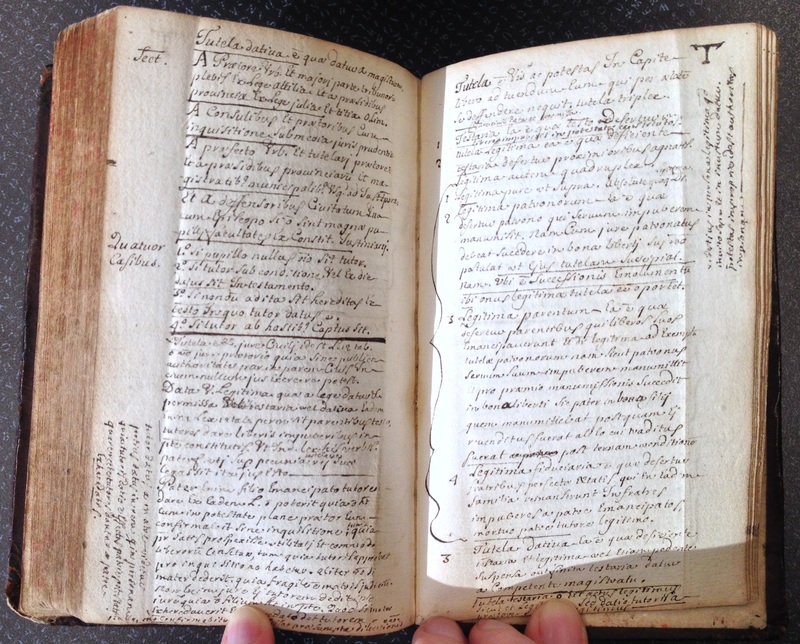 It is a wonderful example of an early eighteenth century hand-written legal vademecum. The dictionary is a quick and simple reference guide to the principle terms and concepts of Roman civil law. 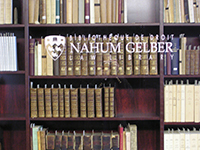 It is written in fine hand, arranged alphabetically, and has foldable margins to facilitate the marking of places. The book covers all the principle aspects of civil law from inheritances and property rights through to contracts and martial law. It includes also a section on Juris primordia, on the structure and development of the Corpus Iuris Civilis. 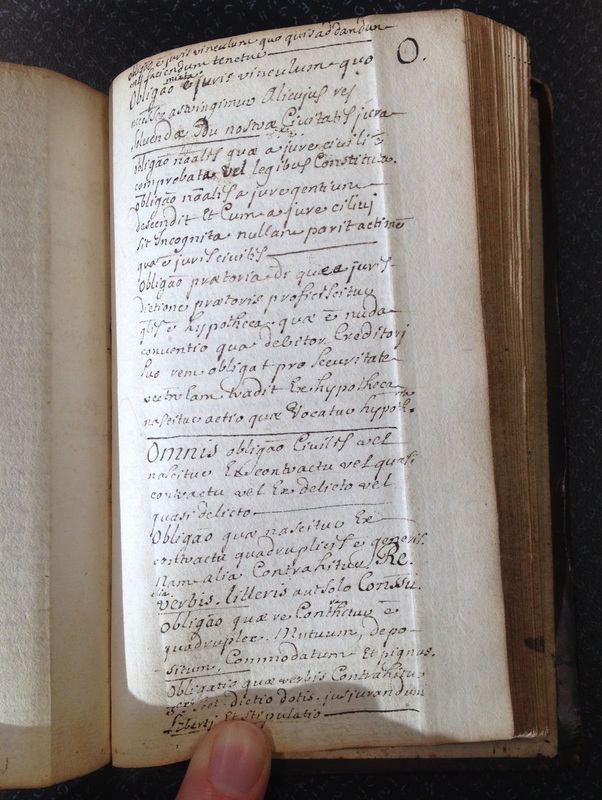 This dictionary was compiled by a 18th century lawyer, possibly a member of the Anyot family as it has a note on the front paste-down “dominus Anyot eques, 1718.” It is known that members of this Huguenot family were active as doctors, lawyers, and watchmakers in the later part of the seventeenth century in France, but after the revocation of the Edict of Nantes, many of them left France to move to England. 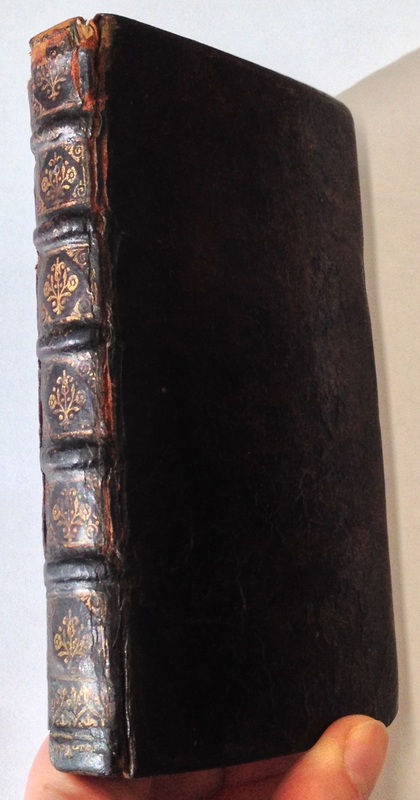 The dictionary is a beautiful example of a “18th century pocket reference book” bound in contemporary calf, with gilt spine decorated with raised bands. It is in a well-preserved condition with just some moderate rubbing to extremities, chipping to spine ends, and somewhat worn corners.